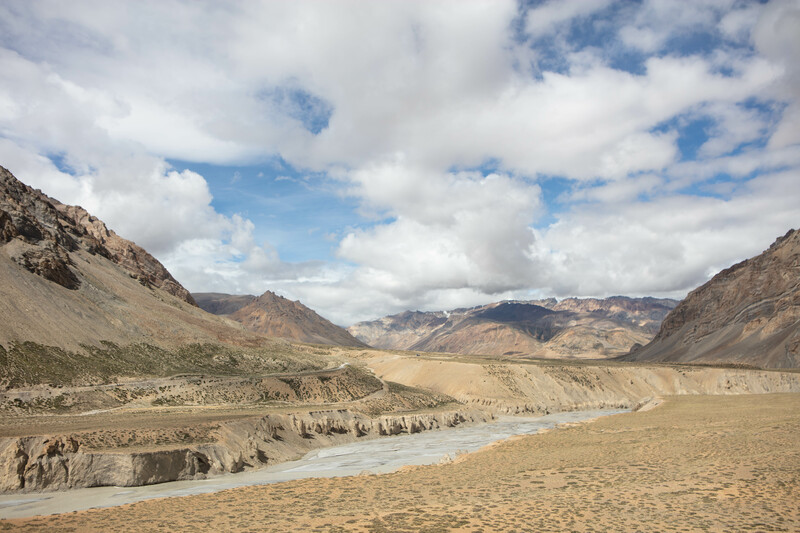 I’ve been wanting to see Ladakh for ages and this summer I finally made it there! 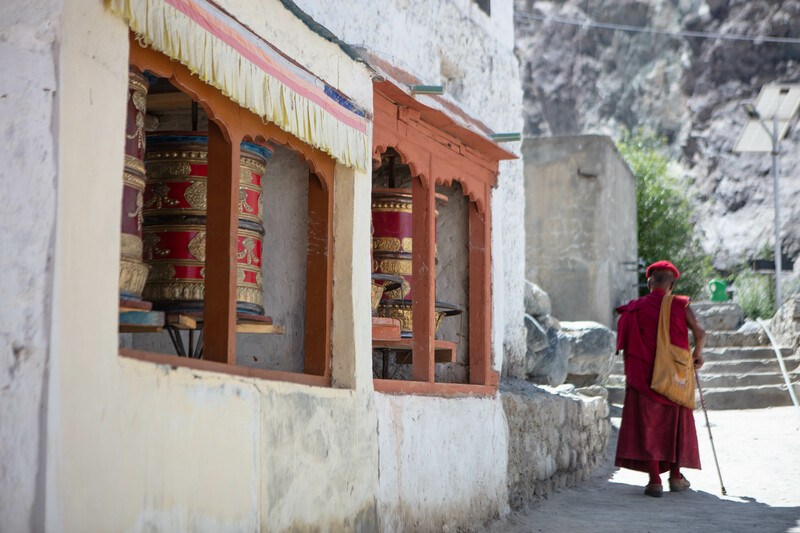 For years I’ve been hearing people saying Ladakh was a hidden paradise, a magical land, and now that I got to see it with my own eyes I couldn’t agree more: Magical is indeed the perfect word for it. 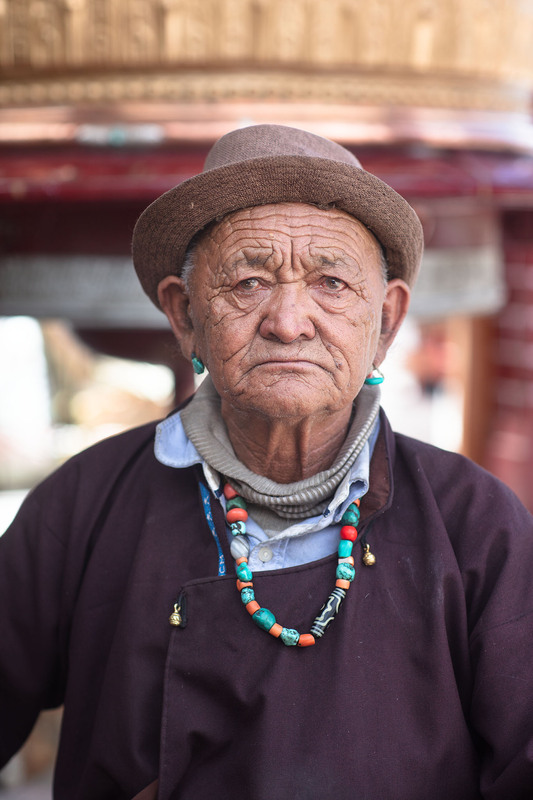 Bordered by Tibet, Pakistan and China, Ladakh—also called “Little Tibet”—is located in the western Himalayan, in the region of Jammu and Kashmir in northern India, it used to be a part of the Silk Road and it’s home to breathtaking landscapes and lakes, timeless temples and monasteries and authentic Tibetan culture. This trip was a bit different from all the others I took, i traveled by motorbike (no don’t worry I wasn’t driving, I just rode on the back!). 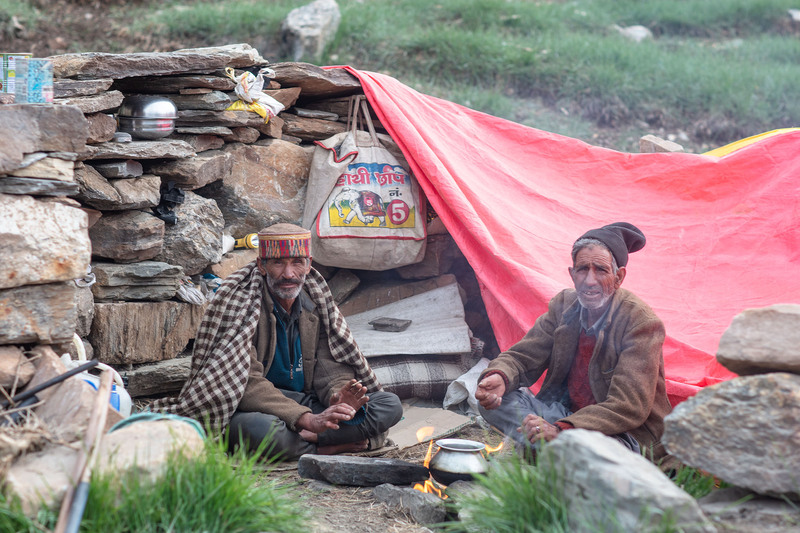 I teamed up with Himalayan Saga, a local agency based in Manali that specializes in bike tours, and joined a group of bikers that came from Italy, Australia and India. They were incredibly nice and professional and made sure everything went smooth. Following us on the bikes there was a team on mechanics with a Jeep and every-time a bike had issues they’ll fix it in a heart beat. 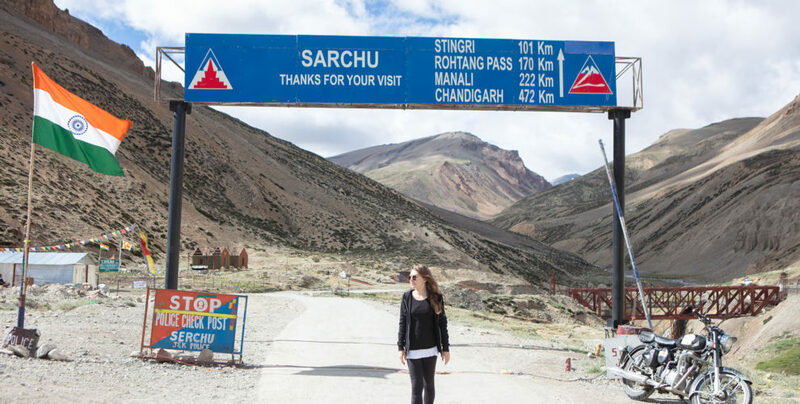 I took a bus from Delhi to Manali (scariest bus ride of my life. The roads were steep and winding and the driver was a bit to heavy on the accelerator. I had one near-death experience after the other!). 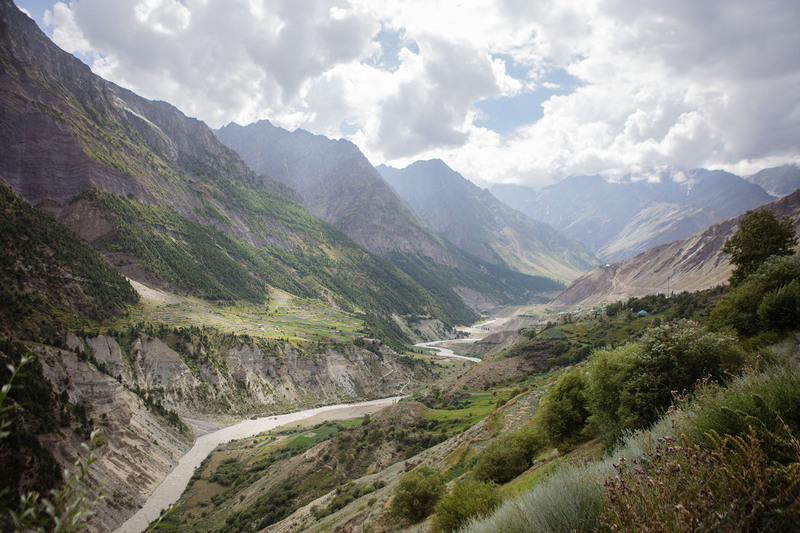 Once in Manali I checked in at the Shivadya Resort, where Ritesh—the owner of Himalayan Saga who also built the Resort—welcomed me and showed me around. The place was beautiful, immersed in nature, surrounded by mountains, nature and green fields; and also super eco-friendly: built using local materials (mud, stone & wood), paint free, heated using solar energy and hydro energy. There wasn’t much time to see Manali but I managed to check out a few hindu temples before heading to the mechanic shop to pick up the bikes following day. After a quick briefing on safety and all we jumped on the bikes and headed north. 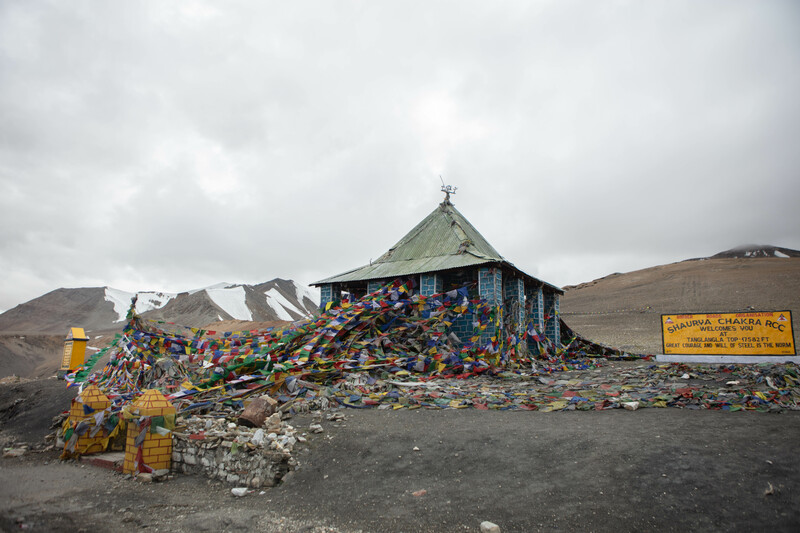 After 138KM on the Manali-Leh highway—the world’s highest road—we stopped to spend the night in a tended camp in Jispa. It was chilly but tolerable. I wasn’t used to being on a bike that long so I was pretty KO and went to bed early. The following day we rode another 100KM on a super scenic road through lush green landscapes, waterfalls, small lakes and moonscapes, crossing Baralach La pass reaching 16,500 feet. Towards sundown we got to our camp for the night. Now it was very cold and some people started to feel sick for the altitude, luckily that wasn’t the case for me. 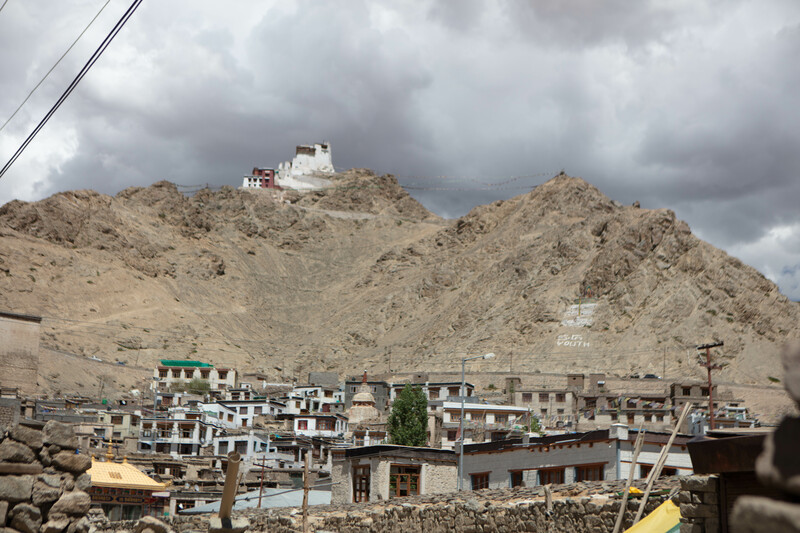 After 3 days of riding we finally reached Leh, the largest city in Ladakh. 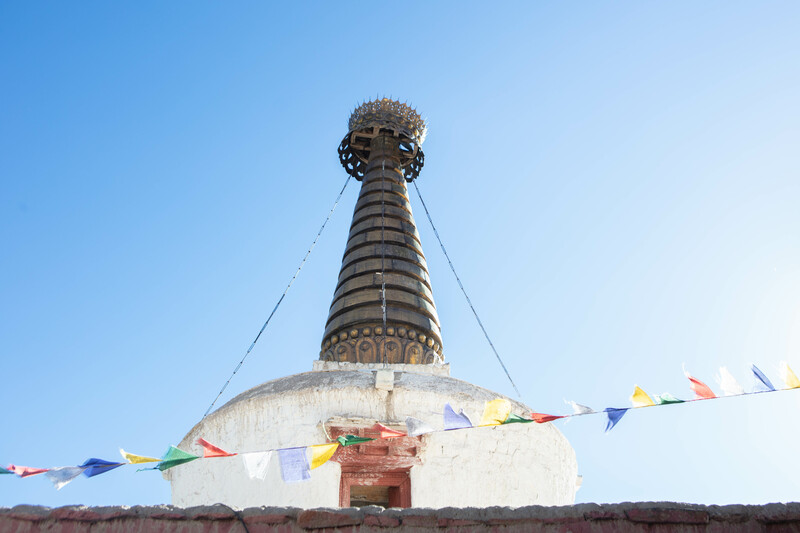 Arriving in Leh was magical, you start seeing the pagodas and the monasteries and you instantly feel transplanted back in time. 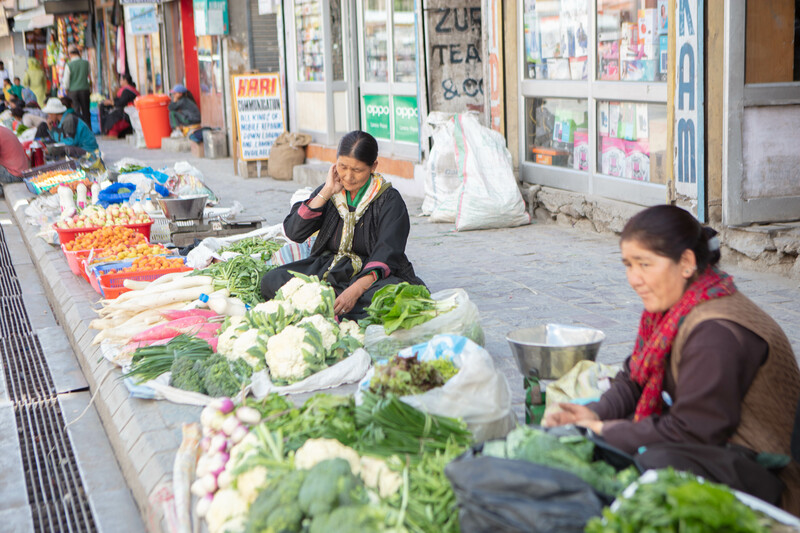 I spent the first day in Leh wandering through the markets (you know I love markets!) 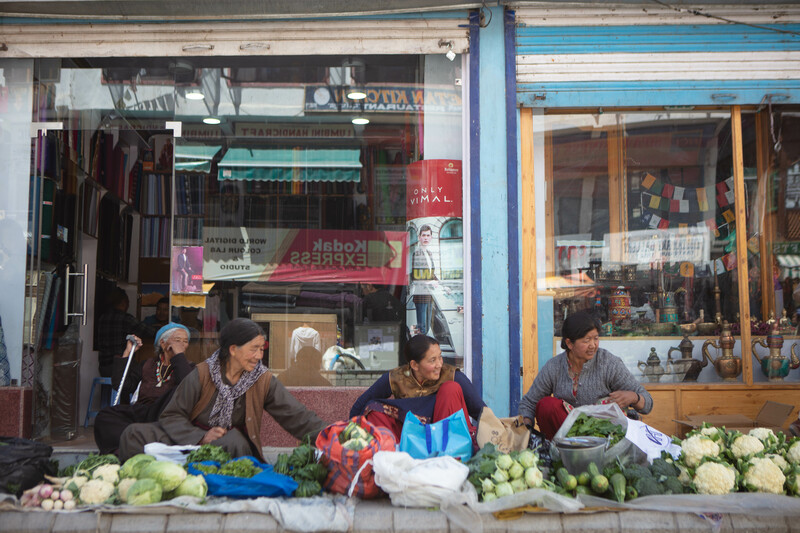 where old Tibetan ladies sells fruits(you have to try the apricots! 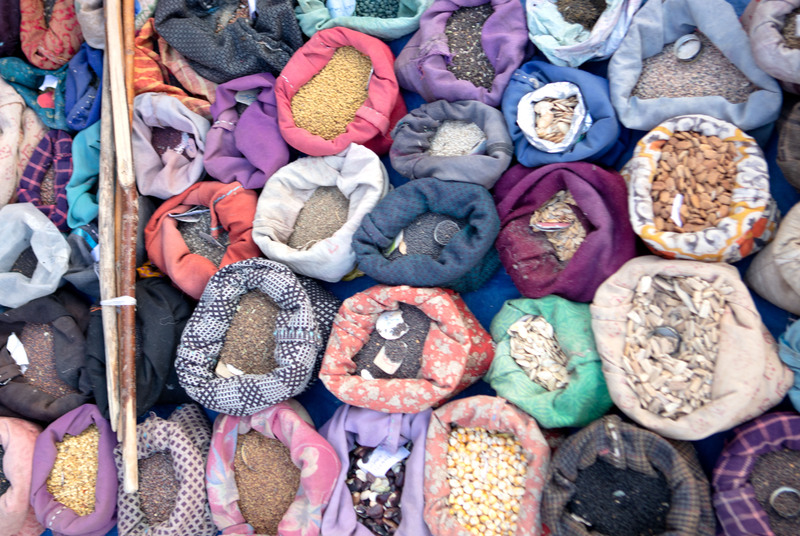 ), vegetables and all sorts of handmade things. 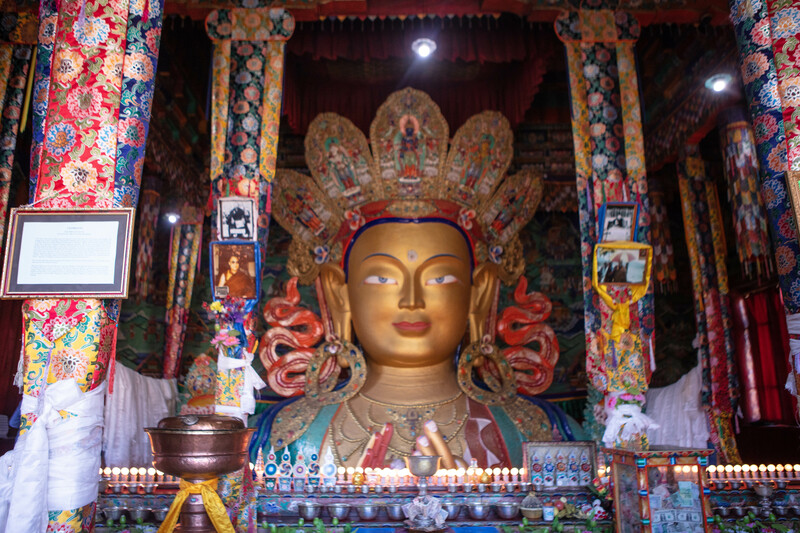 There are also a million shops and bazaars that sell beautiful Tibetan handicraft: Thangka paintings, jewelery, Buddhist masks, malas, books, rugs, antique furnitures and all sorts of souvenirs. 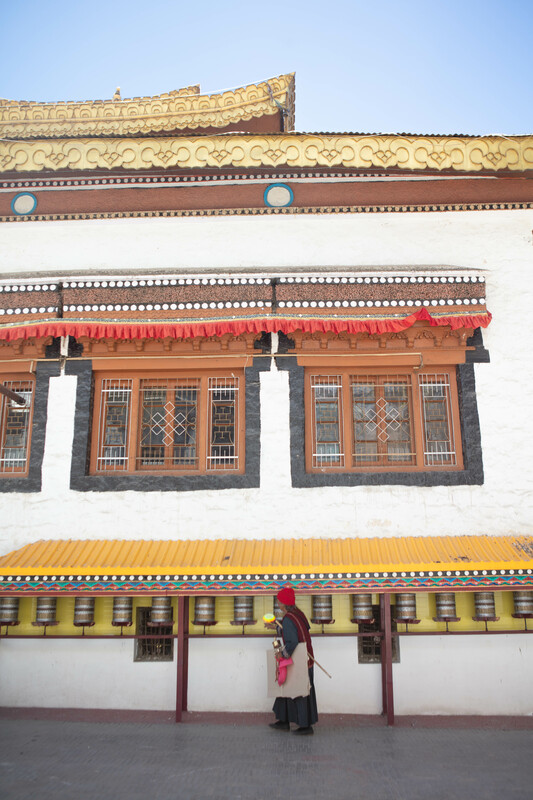 I visited the Thikse Monastery—which is famous for being very similar to the Potala palace of Lhasa, Tibet—and since I came down with a cold I went to the pharmacy inside the monastery where a Tibetan monk doctor gave some traditional Tibetan medicines. 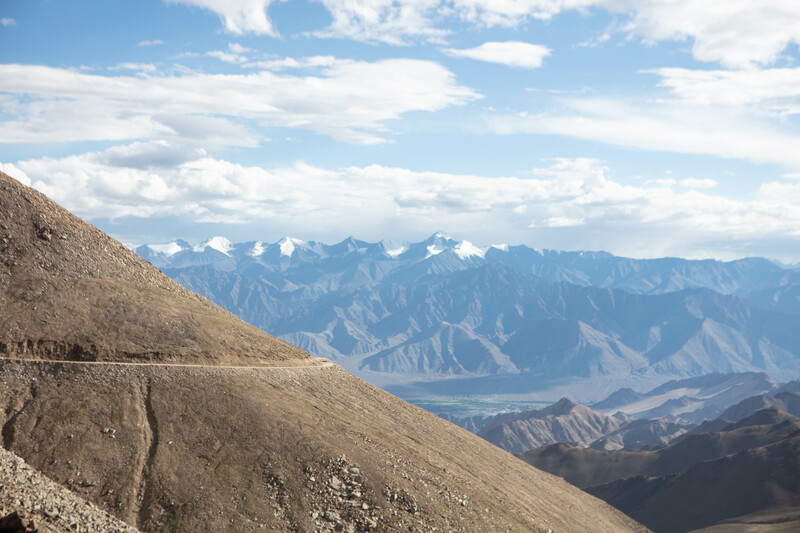 Back on the bikes towards Nubra Valley, crossing the highest motorable pass Khardungla – 18,480 Feet (by now everyone was used to the altitude). 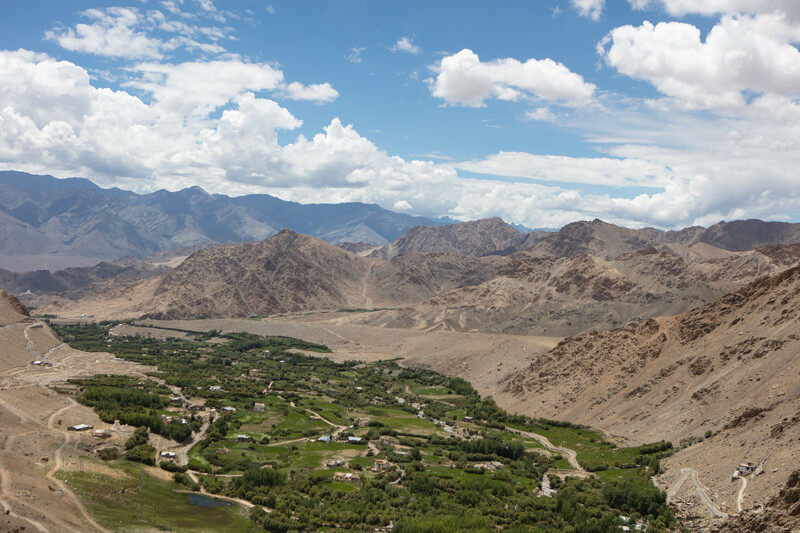 We reached Nubra Valley after 160Km and once again I was blown away by the landscapes in front of my eyes: desert, green, villages, monasteries, yaks, camels, sand dunes, red and grey mountains and surreal reflections in the many puddles and small lakes. 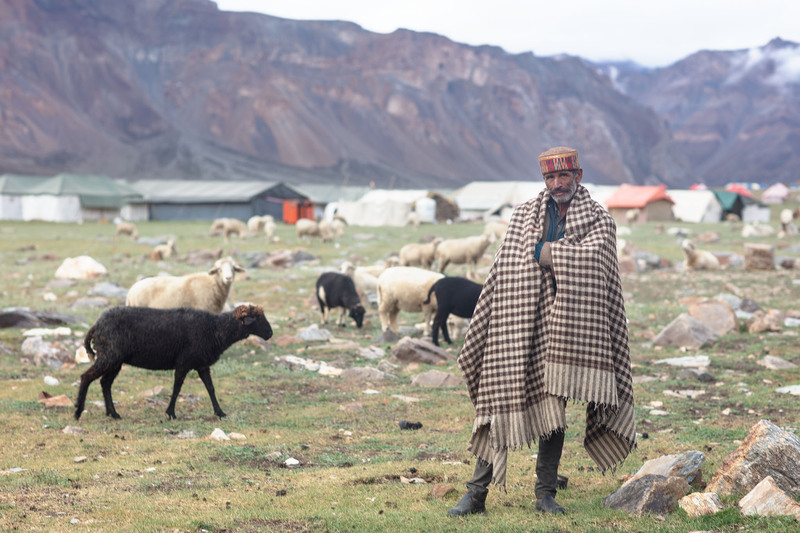 We spent the night in another camp and the following day we headed back the same way we came going back to Leh, than Sarchu, than Jispa and then Manali. 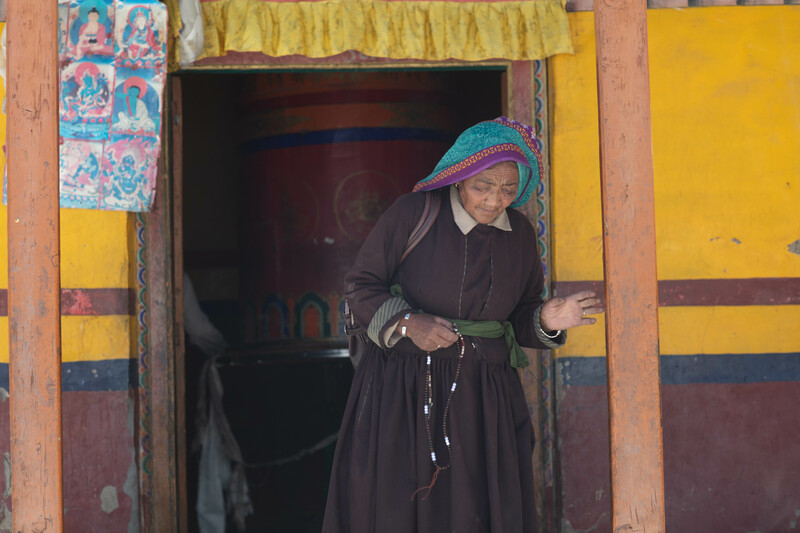 The trip lasted 11 days, It was a physically challenging trip for everyone, miles and miles of bumpy dirt roads, the altitude sickness, the cold…but the beautiful things we saw made it all worth it. 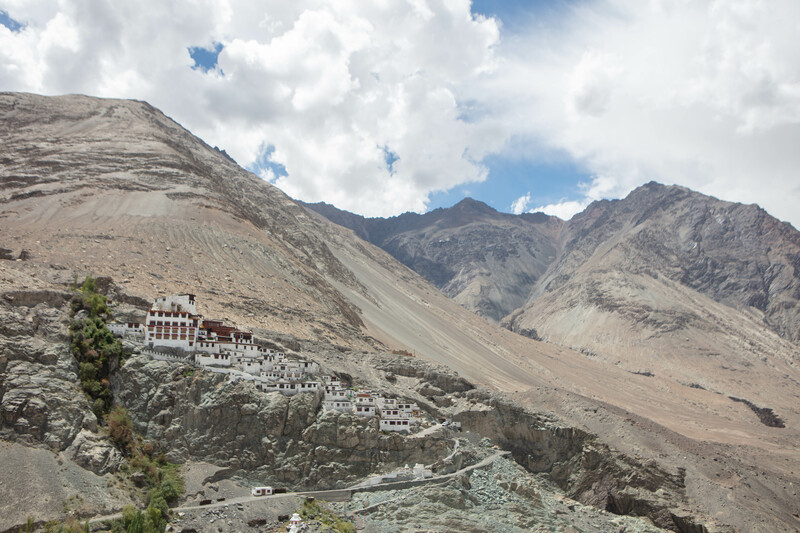 Ladakh by bike is something anyone should experience once in life, it will fill your eyes with unforgettable beauty. 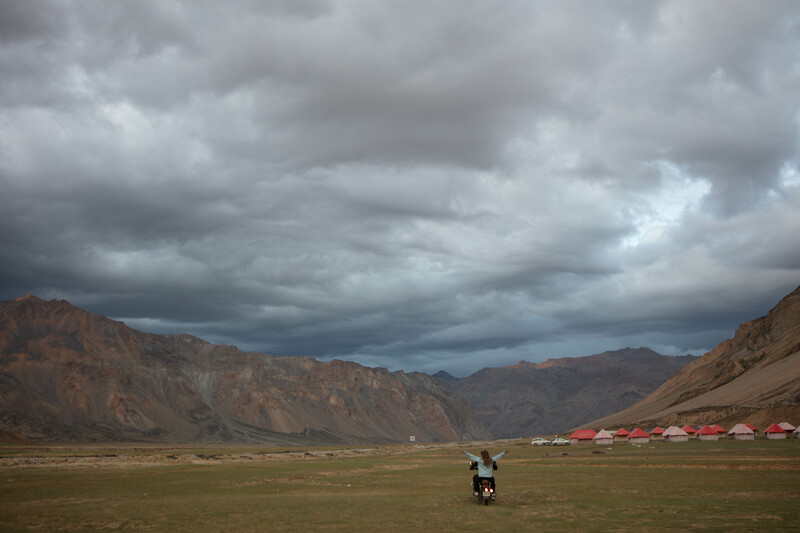 You can reach Ladakh by car and by bike but most people fly straight to Leh, if I were you I wouldn’t. You’ll miss all the beauty. Part of what made this trip incredible was being on the road, driving through the mountains and soaking in the landscapes. 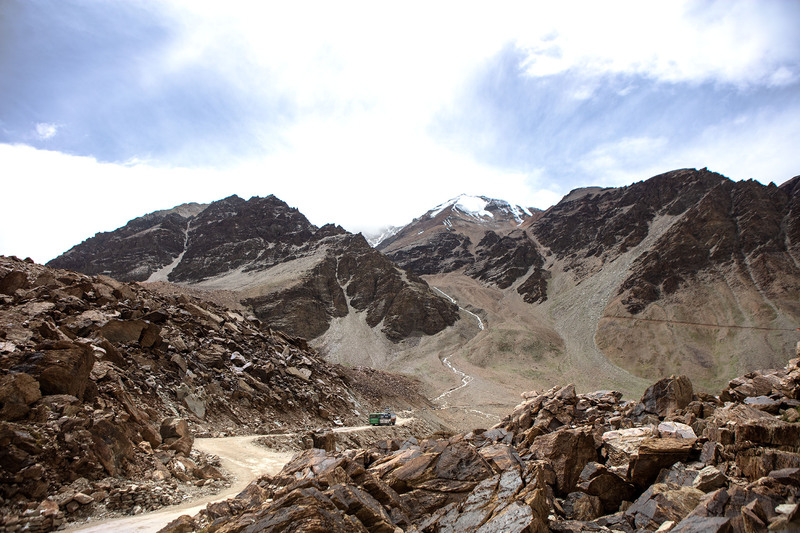 So my best tip is to drive from Manali to Leh and if you find that to tiring than take a flight back. 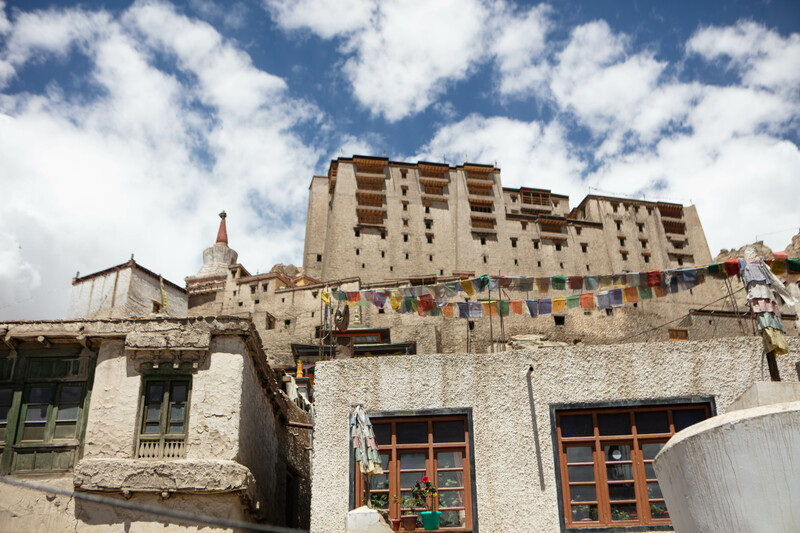 The best time to visit Ladakh is between July and October when the temperatures are milder, in the winter is just too cold. Pack both warm and light clothes cause the temperature changes drastically from one place to the other. This was a huge problem for me. 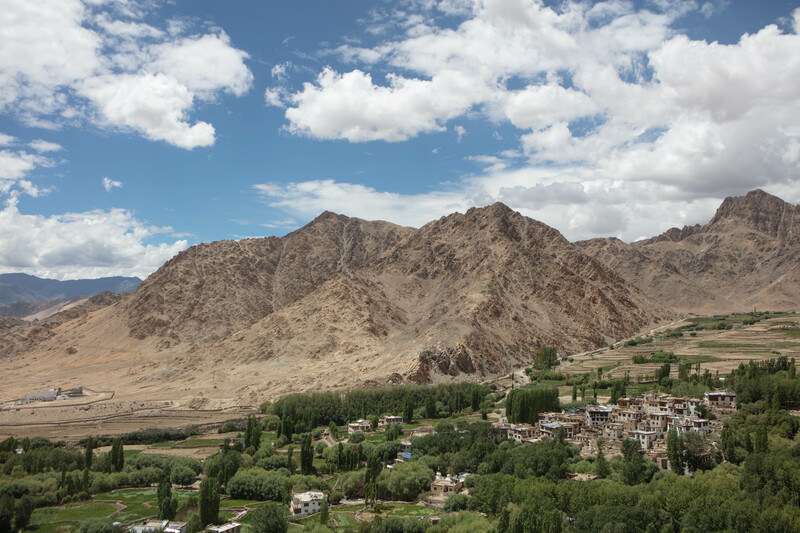 The wifi is miserable everywhere, I got a local simcard in Leh but even that wasn’t of too much help, I had signal only in Leh and couldn’t connect anywhere else. 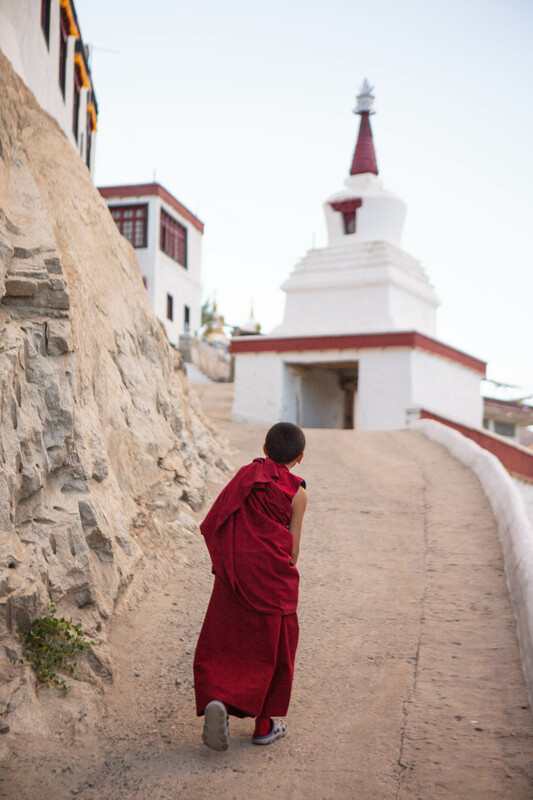 Be ready for a technology detox on this trip! I was very lucky and didn’t get sick at all beside a light headache on the second day but a lot of the people with me got very sick. The symptoms are: headache, nausea, shortness of breath, weakness, sleepness. 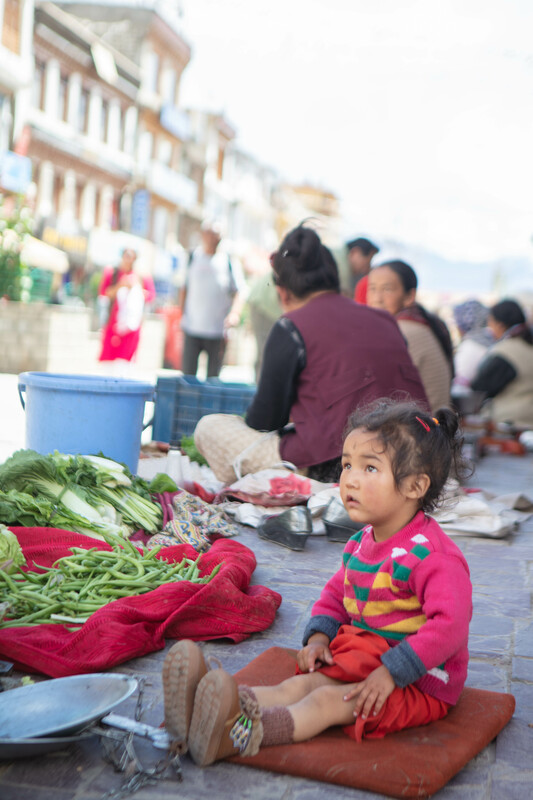 Unfortunately there is no medicine to cure altitude sickness beside slowly descend to a lower altitude. If you feel very sick head over to the nearest medical facility. 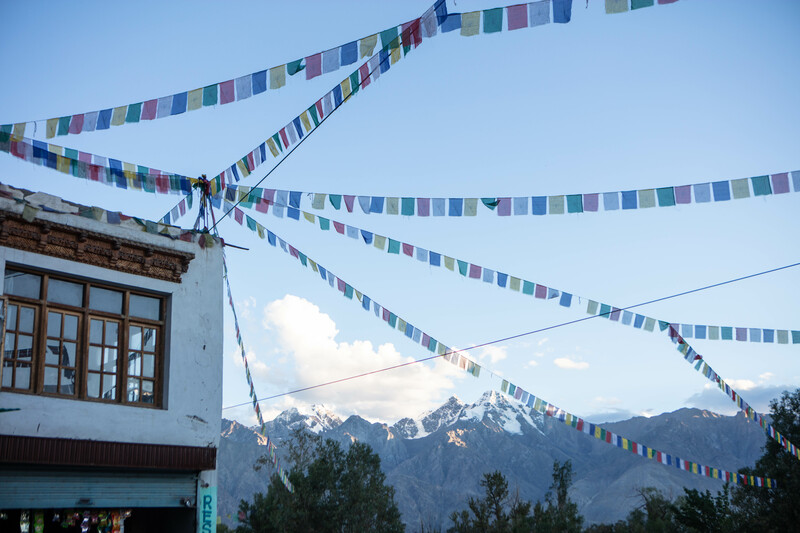 A huge thank you to Ritesh and to Himalayan Saga for the amazing hospitality and for making this beautiful experience possible ✨if you’d like to take a trip to Ladakh by bike check them out, they have the perfect tour for you!